Mirwais Nab, Ambassador of Afghanistan to Turkmenistan, tweets two photos of railway modernisation works at Towraghondi on the Afghanistan-Turkmenistan border. There already is a railway from Turkmenistan to Towraghondi, so this project might be an upgrade rather than a new line. The President arrived by helicopter on the morning of the construction launch event, and made a speech highlighting the importance of developing transport links. Important role is given to the involvement of entire potential of the railway sphere in the development of all branches of national economy and multimodal system of Turkmenistan. Therefore, the greatest attention is paid to the expansion and modernization of its infrastructure. As an example, the Head of the State gave the railway Kazakhstan – Turkmenistan – Iran, Kerky (formerly Atamyrat) – Ymamnazar – Akina. These and other routes as well those that were planned to be built open new opportunities for fruitful relations between the countries of the region and for consolidation of their economic power. We render comprehensive support and assistance to fraternal Afghan people and will continue putting all efforts that enhance the revival of the neighbouring state, the Head of the State said, having highlighted that recently, Turkmenistan hosted the VII Regional Economic Cooperation Conference of Afghanistan where important agreements of regional importance were reached. Having highlighted the decision on increase of the volumes of energy supplied from Turkmenistan to the Islamic Republic of Afghanistan, the Head of the State directed Turkmen railway constructors, who commenced the construction of the roads to Turgundy by the request of Afghanistan. 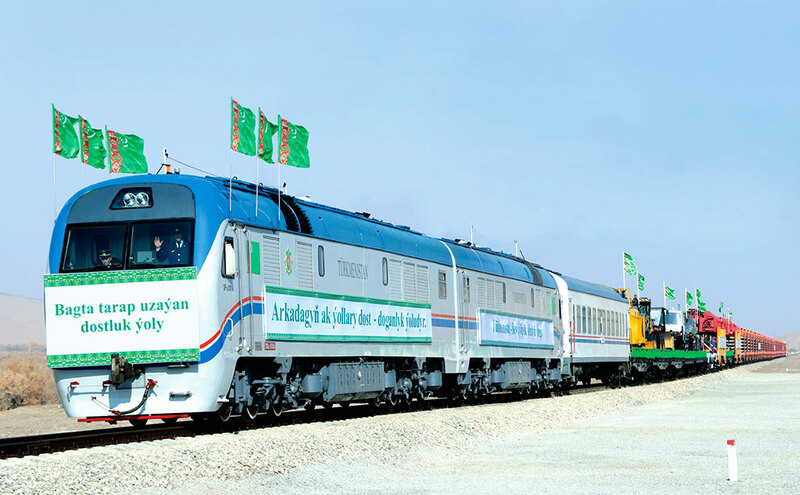 Turkmen staff are to build the railway and develop infrastructure to increase throughput at Towraghondi, enabling Afghanistan to import and export goods more efficiently and providing better links with transport corridors running east-west and north-south in Central Asia. The President then flew to Mary airport by helicopter, before returning to Ashgabat. Presumably the CIA would have kept a close eye on transport links to the Soviet border. A July 1964 US photographic interpretation report describes Soviet military facilities at Kushka (now known as Serhetabat),3 with photos and a map of the “supply depot and rail-to-road transfer point” located “6 km southwest of Kushka at the terminus of the Mary-Kushka branch rail line, approximately 3 km from the Afghanistan border”. 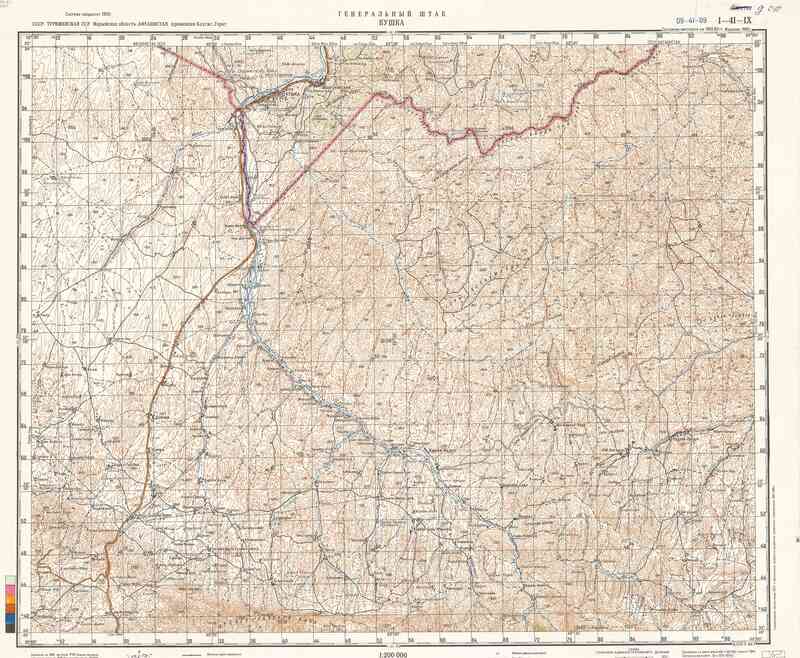 Although the site is shown in the report as being located on the Soviet side of the Afghan border, comparing the photos, map and the latitude and longitude shows that the rail facility which is being described is almost certainly the same thing as the current Towraghondi (to pick one of many spellings!) freight terminal, which is inside Afghanistan. A photo of the railway yard at Towraghondi, the Afghan terminus of the railway from Turkmenistan. Contract between MoPW and Canarail International Company for economic and technical studies of Herat – Torghondi project has been signed. H.E. Eng. Mahmoud Baligh, Minister of Public Works said “this railway project involves five countries as of China, Kazakhstan [sic; the Persian-language version of the announcement appears to say Kyrgyzstan, which would make more sense], Tajikistan, Iran and Afghanistan, which connect Asia to Europe through Turkmenistan and Azerbaijan. Although Afghanistan is a mountainous country & developing road network is very challenging, but to become a part of transit countries which is our historic and old vision so we have to develop the railway network to reach major economic powers, this issue for increasing domestic revenues and enhance economic growth plays a major role”. Mentioned project takes 200 km length and will last 6 months to construct and cost $ 1.6 Million USD which is funded by Asian Development Bank. This seems to be referring to the Five Nations railway plan for a corridor from China to Central Asia, Afghanistan and Iran. It is not clear what the 200 km refers to; Herat to the border is about 80 km in a straight line. US$1.6m might fund the technical study, but wouldn’t cover much construction work. The gauge is not specified. Torghondi is the gateway to the 1520 mm network in the former USSR, however a 1435 mm gauge line is under construction from Iran to Herat. In December 2013 the Ministry of Public Works had appointed Canarail and Appleton Consulting to undertake a 12-month study of the feasibility of extending the Hairatan to Mazar-i-Sharif railway around 225 km west to Sheberghan, Andkhoy and Aqina, and around 50 km northeast to the border with Tajikistan. During the 19th Century Great Game era there was concern in Britain that Russia might one day build a rail link from the Trans-Caspian Railway to Herat, which it was feared would be a useful base for any Russian advance on India. British strategists – serious and armchair – debated the merits of building a railway to Kandahar as a counter-move. It was reported that the Russians had a stockpile of railway materials at Kushka (now Serhetabat) which would have enabled them to build a line to Herat in a hurry, and the British set up a supply depot at Chaman on the Indian frontier containing the track components which would be required for their line to Kandahar.